We’re all about elevating our plate by packing nutrients + vitamins + minerals into every meal, especially when it comes to our hormones, ladies. I’ve been dealing with hormonal imbalances for over 12 years and it has taken me that long to be able to feel like a normal human again. What many people don’t realize is that you cannot fix hormones with synthetic hormones. It will not work. It will be a band-aid and will at some point cause your other hormones to be out of balance. I know this because this happened to me and because everyone that walks into my office is experiencing awful hormonal issues and someone tried to ‘help’ by giving them birth control or a synthetic hormone cream and down the road, it turned into a nightmare. That said, today we’re discussing the best ways to support your hormones because let’s face it, almost every woman out there is dealing with PMS or some sort of hormonal imbalance that is manifesting as weight gain, acne, yeast infections, body odor, oily hair, anxiety, depression and more. Amie is going to show you how you can start incorporating these foods into your lifestyle today. Well, let’s face it. As kids, none of us liked broccoli. It made me want to cry and I avoided it at all costs. I’m sure you can relate. Broccoli is quite a powerhouse when it comes to hormones because it helps support the liver with natural detoxification. When I learned this in my early 20’s, I decided I was going to have broccoli a few times a week because I was going through so much liver toxicity from my body burden of toxins and so many hormonal imbalances. WHY WE LOVE IT // Broccoli is quite easy to cook. It may seem complicated but it’s simple when you know how to do it (see below for How To Make It)! It’s also incredibly versatile, meaning that it can be tossed with anything from olive oil to balsamic vinegar to lemon juice and beyond and you can call it a meal. You can do anything with broccoli! Remember that and don’t let it intimidate you. 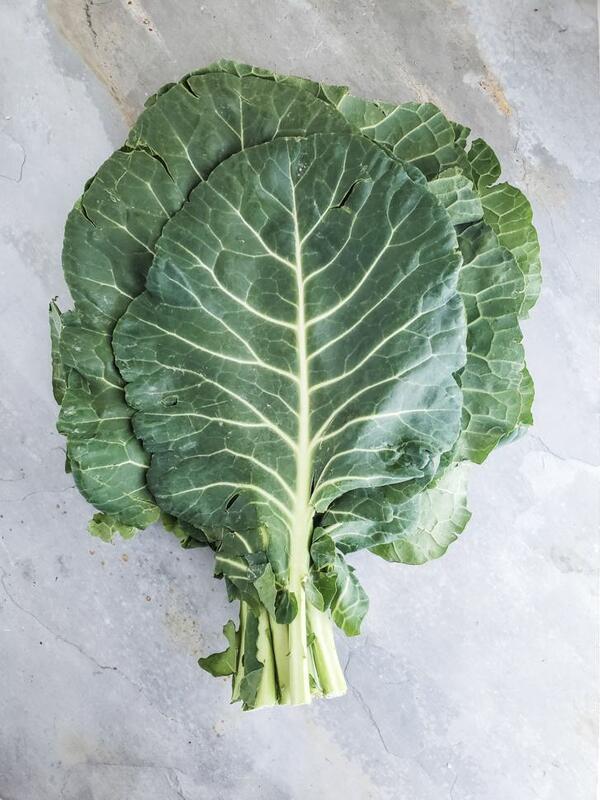 HOW TO MAKE IT // The easiest way to prep broccoli is to cut off the florets and discard the hard stalk. The florets can be tossed with olive oil, sea salt and pepper and roasted in the oven on a rimmed baking sheet for about 15-20 minutes at 400 degrees F or until they’re golden brown and crispy. I like crispy! I like them very very crispy in fact, so I leave them in until they’re nice and crispy. Your roasting time will depend on how large your florets are; the larger the florets, the more time it will take to roast. HOW TO SERVE IT // Have FUN with broccoli….meaning you can jazz it up with whatever you have in your fridge. My favorite combo when it comes out of the oven as noted above is to drizzle it with freshly squeezed lemon juice. Then I crush a handful of walnuts and sprinkle them on top with a pinch more sea salt and pepper, if desired. That is IT, folks! Easy peasy. I’m a red cabbage kinda gal. I prefer red cabbage to green cabbage any day. There is SO MUCH more flavor in red cabbage in my opinion…it’s naturally sweet and hits the spot on top of a salad or tacos unlike green cabbage, which doesn’t have the natural sweetness found in its red cousin! Also, I like to call red cabbage “purple” cabbage because it really IS purple. Am I the only one thinking this way? WHY WE LOVE IT // It’s crunchy, it’s flavorful, it’s full of fiber and it’s ideal on top of everything from soups to tacos to your favorite sandwich recipes. It’s quite versatile…all you need is a bit of creativity to play with it in the kitchen and don’t be afraid to try it in recipes. HOW TO MAKE IT // I love to eat it raw because it’s crunchy so there’s nothing you need to do but finely chop it. And I mean very finely chop it so that it’s easy for you to digest. You can thinly slice it or finely chop it, however, you want to do it. It’s up to you but the smaller the dice or slice, the better and the easier to digest! Find yourself a nice sharp knife and a wooden cutting board and slice or dice away! HOW TO SERVE IT // As I mentioned above, I love using cabbage as a topping for tacos to add a nice crunch and bite to the recipe. I also love adding thinly sliced cabbage to salads to brighten up the colors and add a crunch factor in there, as well. Lastly, cabbage is delicious served as whole leafs (remove the stem at the bottom, which is tough to chew) and use it like you would a lettuce wrap by putting your ingredients inside, wrapping it up like a burrito and eating it! I fell in love with walnuts a few years ago when I learned about their anti-inflammatory properties thanks to their Omega 3 fatty acids. I love adding walnuts to my meals and I eat about 1/2 cup of walnuts a day sprinkled throughout my meals and snacks. They keep me satisfied and add a great dose of protein to keep me full and happy! WHY WE LOVE THEM // Their Omega 3 properties as mentioned above are the main reason I love walnuts above all other nuts. It’s the deciding factor when I’m shopping in the nut section because walnuts are loaded with anti-inflammatory benefits that no other nut or seed has. That alone is a reason to reach for walnuts! Because they’re high in protein and a good source of healthy fats, walnuts will keep you full and satisfied, which always makes us happy campers. HOW TO MAKE THEM // You can toast walnuts or roast them in the oven. Toasting them on the stovetop in a large skillet over medium heat is a great idea. You can add a handful of walnuts to the dry skillet and toss them for about 3 minutes (be careful not to let them burn) or until golden brown and fragrant. The stovetop method is much easier and quicker than roasting them in the oven! HOW TO SERVE THEM // Walnuts are ideal on parfaits, salads, chopped up and tossed on top of tacos, and even enjoyed right out of the bag, which is what I do a few times a day when I need a snack and I don’t have time to make a full meal in my kitchen. Avocado is quite possibly one of the greatest foods because it’s so incredibly versatile and can be diced, sliced, pureed, mashed and more. It’s ideal for everything from guacamole to adding creaminess to a dressing like from our Fajita Lettuce Wraps with Hazelnut Avocado Crema recipe. WHY WE LOVE IT // Avocado has a nice mild taste, which makes it ideal for adding creaminess to smoothies, soups, ice cream recipes, dips and spreads. It’s a great way to reap the benefits of healthy fats and you can enjoy it any time of the day because it pairs well with everything from breakfast toast to evening fajitas. 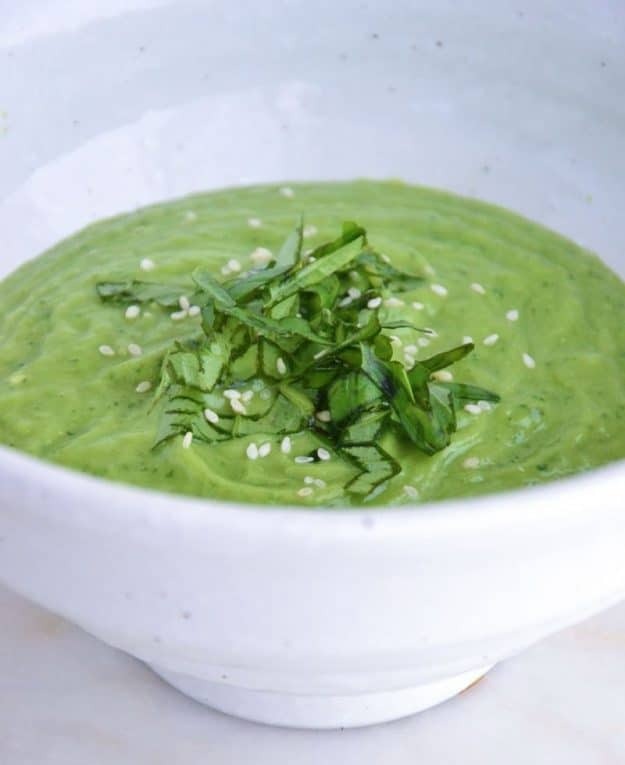 HOW TO MAKE IT // Well, that depends on what you want to ‘make’…you don’t need to really make anything at all as you’ll see below in the serving suggestion but you can easily turn a very ripe avocado into a delicious pureed soup or smoothie. Those are two of the easiest ways to use it. I highly suggest purchasing a ripe avocado so that it’s flavorful. If you purchase a hard avocado and try to use it right away in a recipe, it will taste awful and will be too difficult to slice. In that case, store the un-ripe avocado in a brown paper bag overnight or until the avocado ripens up. HOW TO SERVE IT // No need to ‘serve’ anything with avocado when you can simply peel it, pit it and sprinkle sea salt on top, then eat it with a spoon. That’s really all you need. But, if you want to get creative you can check out my best-selling cookbook for a bunch of ways to use avocado to add creaminess to recipes. 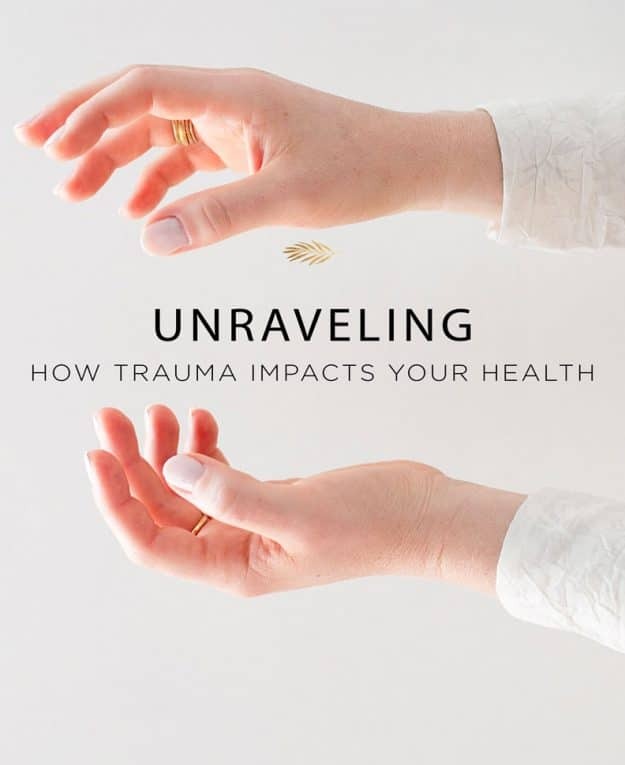 My upcoming Whole Body Transformation Retreat in Santa Cruz, California in August is a great place for you to start to dive into understanding these deeper layers of healing and to understand for yourself first-hand that healing is a journey. This retreat is my lowest price point yet, which is a great opportunity for anyone looking to meet me in person and understand the missing pieces keeping you unwell. This retreat is based on the groundbreaking new method I created and called The Method™, which I developed to help you understand and discover the emotional, energetic and physical aspects of healing. And that’s exactly what I’m here to help you with because somewhere deep inside you know that there is more than just eating clean to really bring yourself back to life. Unfortunately, there is no quick fix or magic pill for health issues. If you have further hormonal needs, you can schedule a private session with me to go into detail about how to help yourself balance your hormones. STILL HUNGRY? For more of our anti-inflammatory recipes, check out our 3 Month Anti-Inflammatory Meal Plan, which is only available for a limited time through April.